THERE are few places in the Whitsundays that offer a 360-degree view of the Lindeman Island group, Hill Inlet and the mainland. 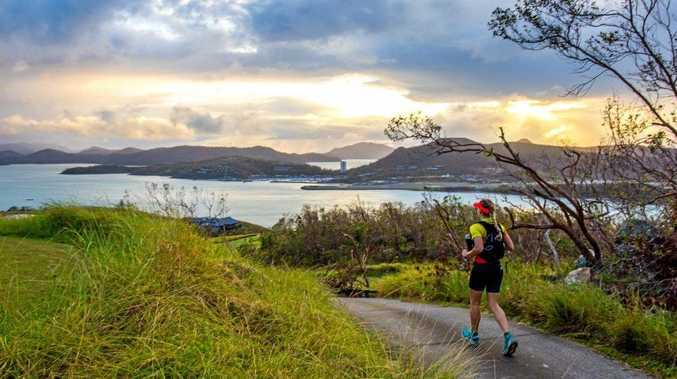 One of the most idyllic viewing spots is found on top of Passage Peak, and coincidentally, along the route of the Financial Linx Hamilton Island Hilly Half Marathon, set for Sunday, May 5. Registrations have opened for the iconic event, the first of the Hamilton Island Endurance Series, which consists of four endurance events spanning from May to November. The half marathon, 21km, is renowned for its diverse terrain which takes participants through the main resort, up the "stairway to heaven” to Passage Peak, the secluded Coral Cove and beyond. Hamilton Island Endurance Series race director Steve Jackson said organisers had reverted to the half marathon this year rather than the full marathon to give people an opportunity to enjoy the island. "The event is 13 years old and it actually started as a half marathon. We wanted to give everyone a chance to compete and enjoy it and see Hamilton Island,” Mr Jackson said. 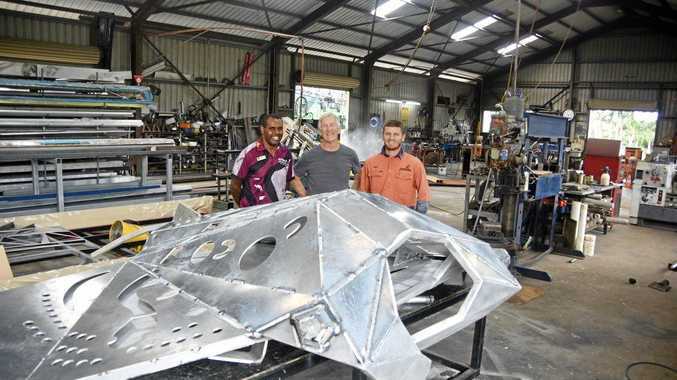 Mr Jackson said at least 70 per cent of the trail was off-road, giving participants a rare opportunity to see the hidden gems of the island, only accessible by four-wheel-drive or by foot. The half marathon will start with a briefing at 7.45am followed by a junior marathon at 10.30am. The junior marathon will consist of three distances: 500m, 1.5km and 3km. A 3 x 7km relay challenge will also be held offering open male, female and mixed categories. While it's a challenging event, Mr Jackson said beginners shouldn't be afraid to give it a go. "This is a race that has no cut-off. It's quite normal for people to walk sections of the race,” he said. As an added incentive, ferry rides to Hamilton Island to and from the event will be free for participants and 50 per cent off for spectators of participants, sponsored by Cruise Whitsundays. But Mr Jackson said those who would like to enjoy the island for a bit longer were welcome to stay. "The endurance series' motto is 'race hard, recover harder', so everyone is welcome to stay on Hamilton and enjoy the pools, beaches and bars,” he said. Upcoming endurance events also include the Great Whitehaven Beach Run, June 23, the Hamilton Island Triathlon, November 23, and the Whitehaven Beach Ocean Swim, November 24. Head to the Hamilton Island Endurance Series website for more details.